Jenn and I participated in the Reddit Secret Santa this past Christmas. We got matched and sent out our gifts. Jenn got her giftee a poster of the stadium that her giftee liked the team of, a copy of the Cosmos book, and then crocheted a team color stocking. I got mine some a couple signed comic books from an artist he liked and a copy of "A is for Armageddon". We then waited for our gifts. I was put back into the pool and got re-matched instantly. Jenn's Secret Santa had marked that they shipped, but nothing ever showed up. She marked that she didn't get anything but wasn't re-matched this time. Yesterday, I got the first of two boxes that my re-match sent. Oh no, Johnny Five! You've been Empire Strikes Back C3PO'ed. 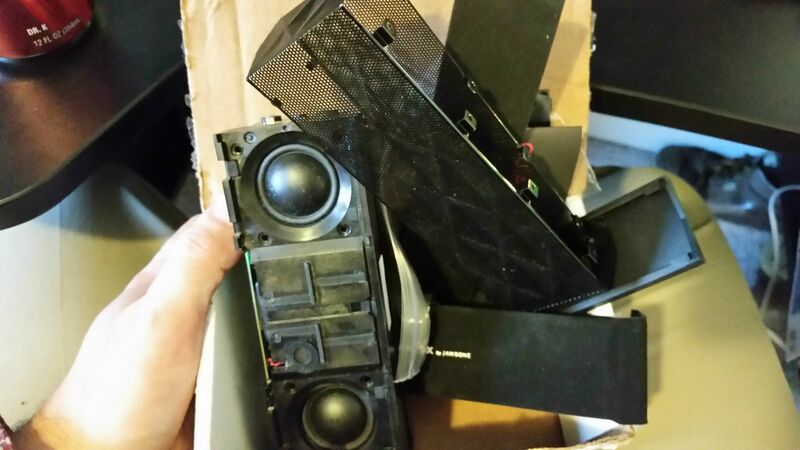 Opening up the box, I found... a... disassembled bluetooth speaker. 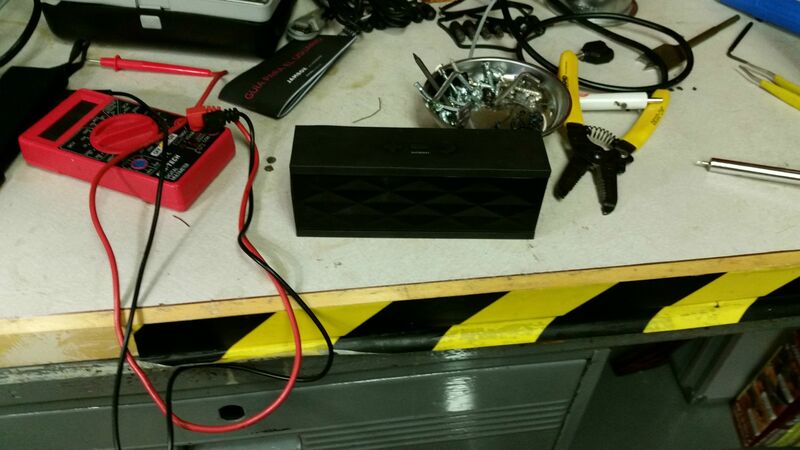 Hrm, Jawbone Jambox I managed to plug it in and got the most loudest hiss ever and the speaker angrily buzzed and was just horrible. 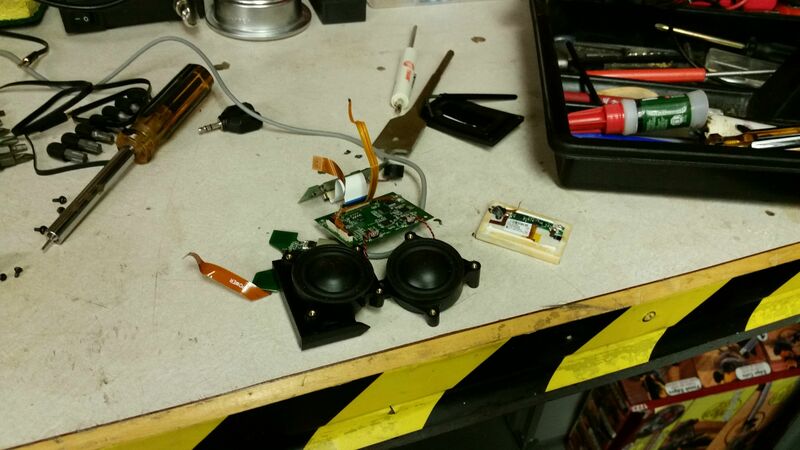 I don't have a bluetooth speaker and having one on my workbench would be nice. Having to fix my gift isn't really a problem, I was just hoping it was fixable. With as loud as that static was, this would be a great speaker to use while I work. Now you are Playing with Power! 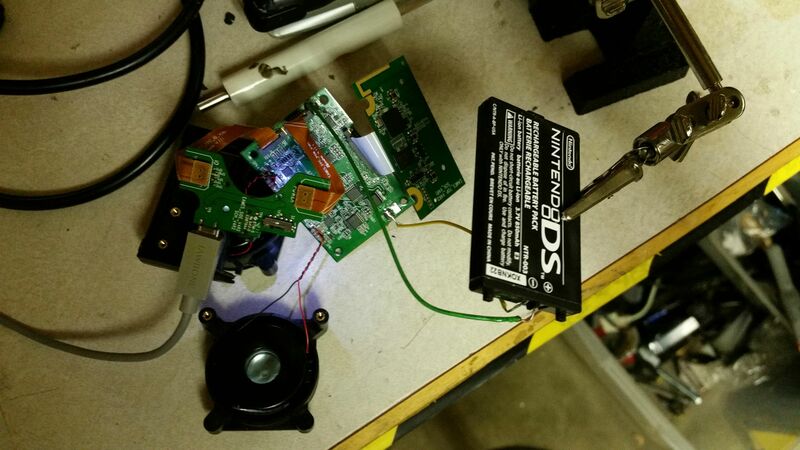 I have a few of these batteries spare from repairing systems, so I soldered it on and let it charge. The speaker works great. Now I just need to reassemble it. 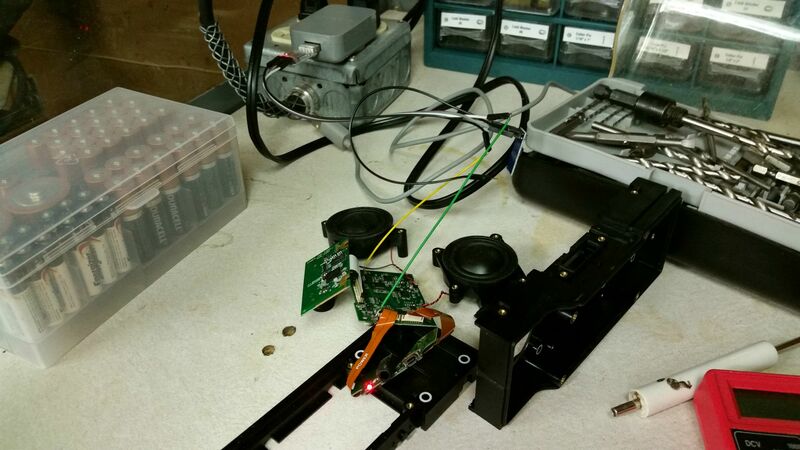 And now it has been reassembled and is playing music via bluetooth on battery power.